This week I took a run to the wholesale grocer in Spokane to make a huge bulk purchase. A group in a nearby town is putting on a community crab feed this weekend, and Don was (ahem) informed at the last minute he was the chair of the event. He's been busting fanny for the last two weeks to make sure the dinner and subsequent auction runs smoothly. 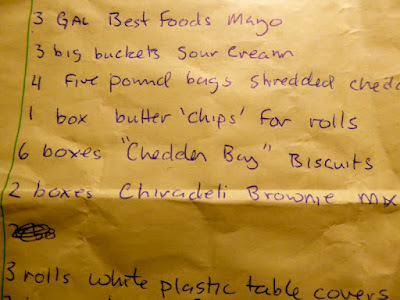 I was tasked with purchasing the bulk food items (everything but the crab). Armed with a detailed list, off I went. 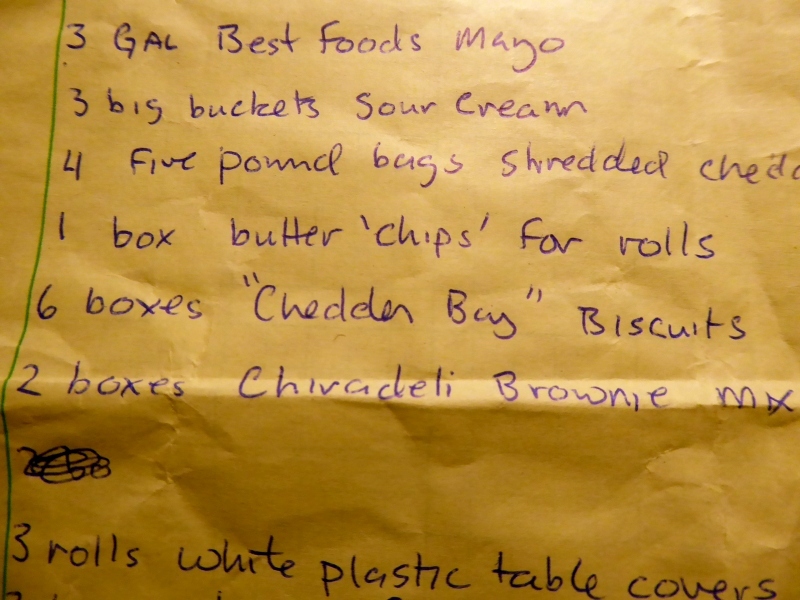 One of the items on the list simply said, "6 boxes 'Cheddar Bay' biscuits.'" However no such item was found at the wholesale store, and the clerks weren't familiar with it. After leaving the wholesale grocer, I went to WinCo to pick up one item for ourselves (apples) when I happened to glance at the walls of boxed goods on display near the front entrance. 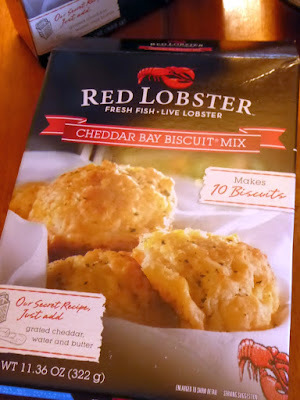 And there it was: Red Lobster Cheddar Bay biscuit mix. It wasn't the bulk packaging normally needed for a community-wide event, so I called Don and asked how many of these he wanted me to get (since each box only made 10 biscuits). He suggested 25 boxes. I purchased 27 -- two boxes for ourselves -- since I was curious how this compared to my homemade version. The biscuits they served at the restaurant were absolutely delicious. I'm not surprised they started selling a boxed version. 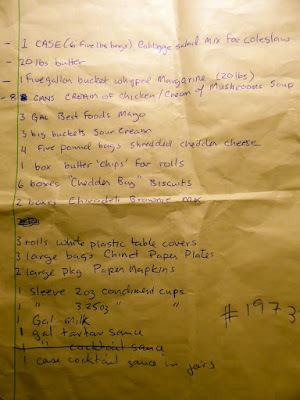 But many years ago I also found a copycat recipe for these biscuits, which I make frequently. I was curious to compare the boxed version with my homemade ones, hence the purchase (it cost $1.98/box, by the way). 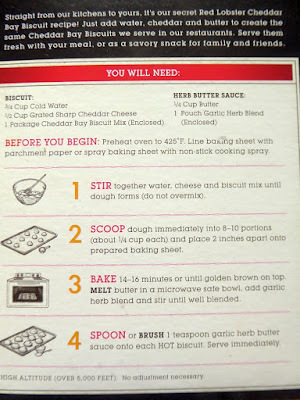 According to the directions, I needed to grate some cheese, add water, and melt some butter. These are drop biscuits, so they don't have to be rolled and cut. In other words, with the boxed version, I still needed to grate the cheese and melt the butter. The only time-savings was having the other ingredients pre-mixed. 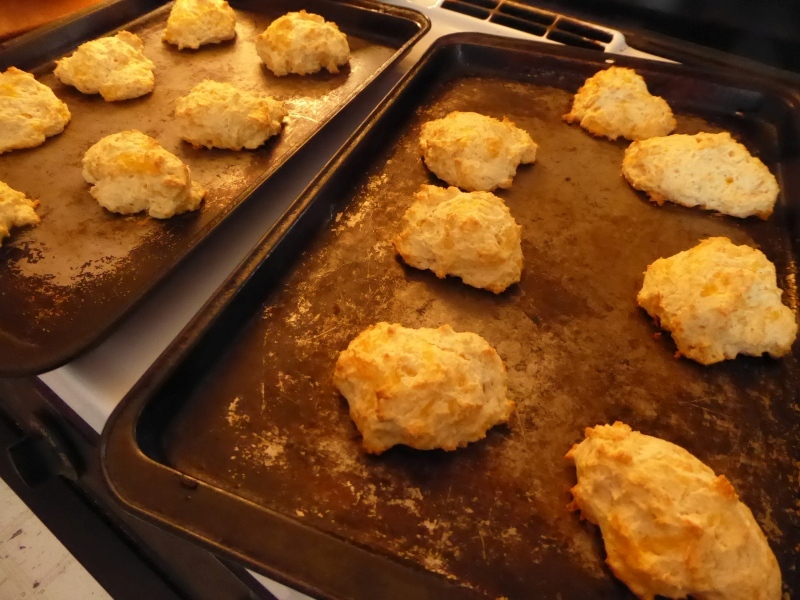 The biscuits came out a bit light for my taste (I could have kept them in the oven a few more minutes to darken). While the biscuits were baking, I heated butter on the stove, and added their packet of flavoring (largely onion and garlic powder). As soon as the hot biscuits came out of the oven, I double-brushed them with the flavored butter. The verdict? Good, but not as good as homemade. "They taste almost the same, but when you bite into them, there's no substance," said Younger Daughter. Drop spoonfuls into bumpy mounds on baking sheet. Bake at 350F for 22-26 minutes (depending on how dark you like them). Immediately brush with garlic butter. 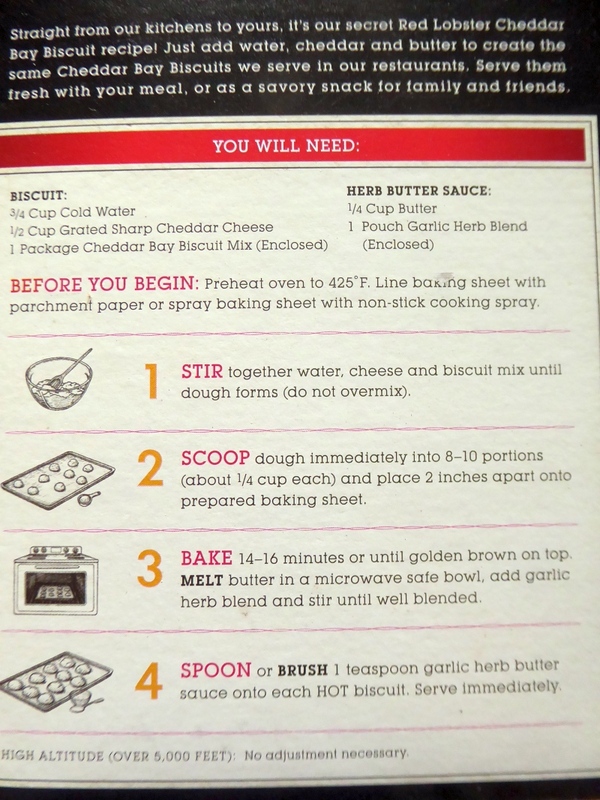 Bottom line: The boxed biscuit mix is good -- but not as good as the copycat recipe we use. I'll continue to make them from scratch. However, kudos to Red Lobster for boxing a decent product. Stuck in the City with about 7M people within 100 miles, reading your blog makes me happy and gives me hope! Thanks for the biscuit recipe! Red Lobster probably formulated it so it would pass the various nutritional analyst tests without being red-flagged by some consumer group for "unhealthy" levels of fats. The stuff in the box is enough of a shortcut that you could simply try adding the mayonnaise to it -- a bit of garlic aioli might actually improve both recipes. Their biscuits are just about the best I've ever had in a restaurant, that's for sure! Clever idea, except for all the snow dumping in the poor guy's face. Thanks, we'll check it out. I've made and enjoyed the mayo biscuts many times and enjoyed them. 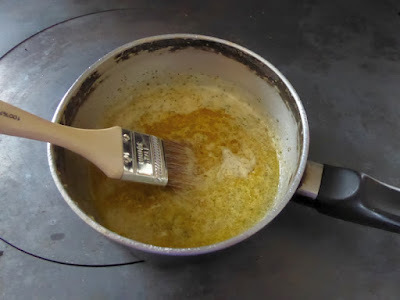 I add Johnnys great ceasar garloc spread mix to the dough and some tothe melted butter for the top. While its been about 25 years since we've been to a red lobster they come pretty close. 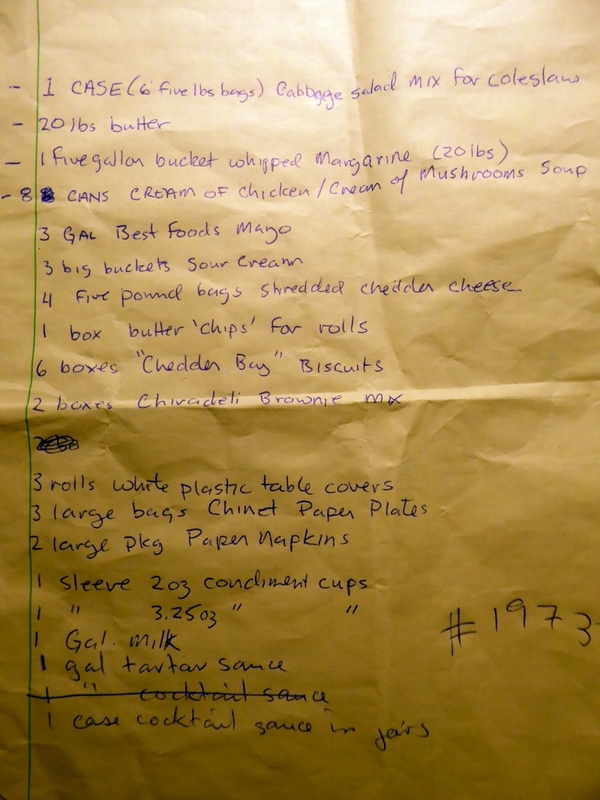 Read about those biscuits last night and have not been able to stop thinking about them. Will just have to make up a batch today to get them out of my system, lol. BTW, we have been to that Red Lobster in Medford. Too bad we didn't know about the biscuits then. Re: treating servers well (and others who do thankless jobs) - You reminded me of one of my favorite bits of advice: "If you can't afford to tip generously you can't afford to eat out." Mix all ingredients, folding in grated cheese last, bake at 450 degrees for 10-12 minutes. After baking brush biscuits with melted butter mixture. Makes 10 biscuits. Such an easy recipe! We love those RL biscuits. I'll make a batch this afternoon. Thank you. If you bake your own use aluminum free baking powder which may prevent dementia. 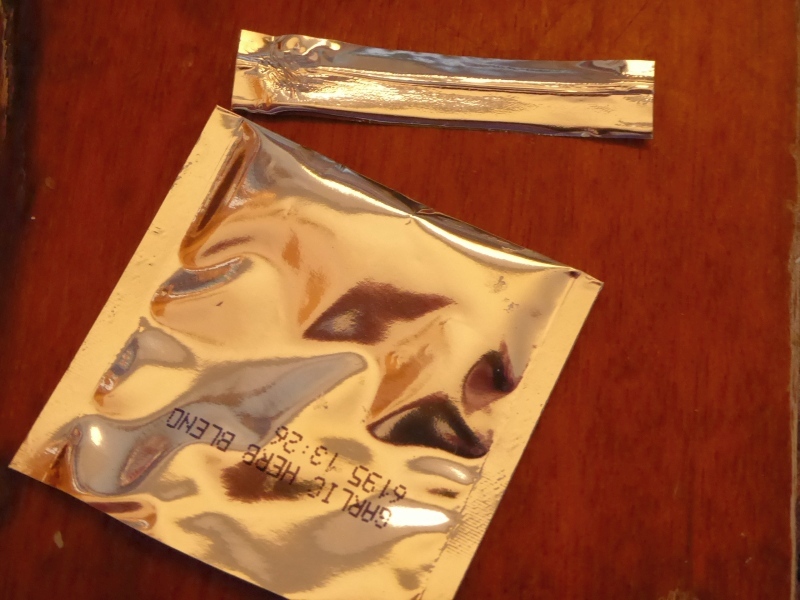 Aluminum is not good for anyone. I tried the box biscuits but don't want the senior moments. Also anti perspirants have aluminum. Deodarants dont. 13 years of senior dementia is not worth it. My aunt and I know this. Beautiful Pearl. And you wonder why Trump won? Who IS this Marie Kondo, anyway? Dangerous words: "Be a man"